Your day-by-day itinerary now includes Tokyo Disneyland as well as Tokyo DisneySea. Do your shopping at Ginza and Minato Mirai 21. Get some historical perspective at Tokyo National Museum and Kotoku-in (Great Buddha of Kamakura). 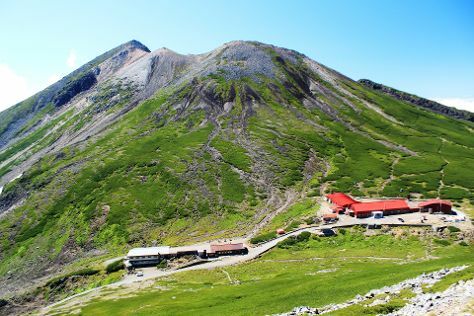 You'll find plenty of places to visit near Tokyo: Mt. Takao (in Hachioji), Yokohama (Yokohama Chinatown & Sankeien Gardens) and Ghibli Museum (in Mitaka). Next up on the itinerary: take a stroll through Harajuku Takeshita-dori, step into the grandiose world of The East Gardens of the Imperial Palace (Edo Castle Ruin), make a trip to Tokyo Tower, and contemplate the long history of Hase-dera Temple. To find reviews, other places to visit, and other tourist information, refer to the Tokyo day trip website . Amsterdam, The Netherlands to Tokyo is an approximately 16-hour combination of flight and train. You can also fly; or do a combination of train and flight. Traveling from Amsterdam to Tokyo, you'll lose 8 hours due to the time zone difference. Expect somewhat warmer temperatures when traveling from Amsterdam in October; daily highs in Tokyo reach 26°C and lows reach 18°C. Finish your sightseeing early on the 22nd (Mon) so you can travel to Yamanouchi-machi. The resort town of Yamanouchi-machi has plenty of contrasting, but complementary things going for it. Start off your visit on the 23rd (Tue): take in the spiritual surroundings of Shibuyu Shrine, look for gifts at Snow Monkey Resorts Info & Gift Shop, then indulge in Japan's hot spring tradition at some of the top local onsens, then look for all kinds of wild species at Jigokudani Snow Monkey Park, and finally get engrossed in the history at Minzoku Shiryokan Gosetsu No Yakata. To see photos, where to stay, traveler tips, and more tourist information, read Yamanouchi-machi trip itinerary website . Traveling by combination of train and taxi from Tokyo to Yamanouchi-machi takes 2.5 hours. Alternatively, you can drive; or do a combination of bus and taxi. Traveling from Tokyo in October, expect Yamanouchi-machi to be slightly colder, temps between 21°C and 14°C. Wrap up your sightseeing on the 23rd (Tue) early enough to drive to Matsumoto. Start off your visit on the 24th (Wed): relax in the rural setting at Daio Wasabi Farm, wander the streets of Nawate Shopping District, then wander the streets of Nakamachi Street, then explore the historical opulence of Matsumoto Castle, and finally browse the different shops at Resort Outlet Yatsugatake. Keep things going the next day: hit the slopes at Norikura Kogen. To see other places to visit, ratings, traveler tips, and more tourist information, read our Matsumoto trip planner . You can drive from Yamanouchi-machi to Matsumoto in 2 hours. Another option is to do a combination of taxi and train. Expect a daytime high around 21°C in October, and nighttime lows around 14°C. Finish up your sightseeing early on the 25th (Thu) so you can travel to Fuji. Fuji is a city in eastern Shizuoka Prefecture, Japan. For maps, where to stay, traveler tips, and other tourist information, read Fuji trip planner . You can drive from Matsumoto to Fuji in 3 hours. Traveling from Matsumoto in October, plan for somewhat warmer nights in Fuji, with lows around 20°C. On the 26th (Fri), you'll travel to Kyoto. Get outdoors at Mt. Kurama and Monkey Park Iwatayama. Get some historical perspective at Nijo-jo Castle and Fushimi Inari-taisha Shrine. And it doesn't end there: don't miss a visit to Gion, contemplate the long history of Sanjusangendo Temple, contemplate in the serene atmosphere at Ginkaku-ji Temple, and stroll the grounds of Reigenin. Traveling by train from Fuji to Kyoto takes 2.5 hours. Alternatively, you can drive; or do a combination of train and flight. October in Kyoto sees daily highs of 27°C and lows of 18°C at night. Wrap up your sightseeing on the 29th (Mon) early enough to take a train to Nara. Kick off your visit on the 29th (Mon): contemplate in the serene atmosphere at Kofuku-ji Temple, take in the spiritual surroundings of Kasuga Grand Shrine, take in the awesome beauty at Mt. Wakakusa, contemplate in the serene atmosphere at Nigatsu-do Temple, then identify plant and animal life at Nara Park, and finally contemplate the long history of Todai-ji Temple. Keep things going the next day: contemplate in the serene atmosphere at Toshodaiji Temple, get great views at Naramachi, steep yourself in history at Naramachi Koshino Ie, contemplate in the serene atmosphere at Gango-ji Temple, then contemplate the waterfront views at Sarusawa Pond, and finally make a trip to Nara National Museum. For maps, other places to visit, and other tourist information, go to the Nara road trip planner. Nara is just a stone's throw from Kyoto. In October in Nara, expect temperatures between 27°C during the day and 20°C at night. 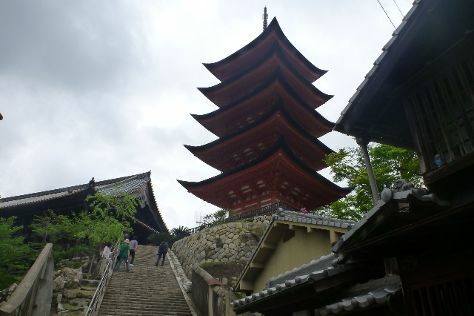 Wrap up your sightseeing on the 30th (Tue) early enough to drive to Himeji. Start off your visit on the 31st (Wed): hike along Mt Shosha hiking, explore the historical opulence of Himeji Castle, and then browse the different shops at Piole Himeji. To see more things to do, other places to visit, maps, and more tourist information, read our Himeji online itinerary maker . You can drive from Nara to Himeji in 1.5 hours. Other options are to take a train; or take a bus. In October in Himeji, expect temperatures between 26°C during the day and 20°C at night. Finish up your sightseeing early on the 31st (Wed) so you can catch the train to Hatsukaichi. Kick off your visit on the 1st (Thu): stop by Miyajima Omotesando Shopping Street, kick back and relax at Mikasahama Beach, then head off the coast to Miyajima, then contemplate in the serene atmosphere at Itsukushima Shrine Torii, and finally take in the spiritual surroundings of Itsukushima Shrine. To see traveler tips, maps, and tourist information, refer to the Hatsukaichi trip planner. You can take a train from Himeji to Hatsukaichi in 2 hours. Another option is to drive. In October, daytime highs in Hatsukaichi are 26°C, while nighttime lows are 19°C. On the 2nd (Fri), you're off tohome.